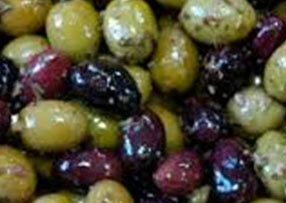 There are a number of outstanding olives. Customers tell me they are the best they’ve ever eaten!!! Gold Award winners at the Great Taste Awards are the Tomato stuffed olive, but other ones are giving them a good run for their money! We also sell a wide range of other goodies in the deli. Roasted onions are a big favourite in a sweet balsamic vinegar, feta stuffed baby bell peppers, Pepperabica’s, ham, chicken liver pate with brandy and the famous Jug & Bottle “Sweet Chilli Dipping Sauce”. We offer a great range of fresh, hand made sandwiches with decent bread cakes and baguettes. We offer a range of 25+ flavours such as local Bhaji, Tikka and Mango chutney sandwich, Posh Egg, mature cheddar with Caramelised Onion Chutney and Brie, grape with Cranberry Sauce. To compliment our sandwich range, we now offer an alternative of Salad Bowls. The basis of the salad is lettuce, cucumber and tomato. 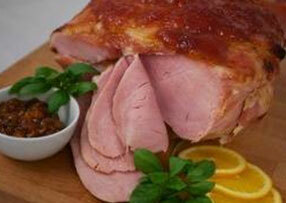 To this you can add any three toppings from our deli (although pate and ham are extra). So this could range from coleslaw, houmous, chicken tikka, coronation chicken or chick/bacon mix, olives, balsamic onions, semi sun blush tomatoes, peppers or crab mix. A truly tempting and scrummy alternative and has been a real hit. You’ll also find in our deli counter pies, pasties, sausage rolls from a local butcher. 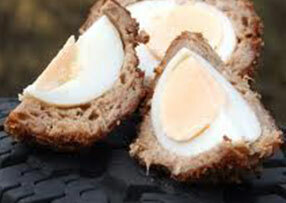 As well as amazing flavoured scotch eggs. These vary across 40 different flavours but can be as unusual as chocolate & chilli to a smoked bacon scotch egg. Along side these we also stock Jumble Rolls which also come in the many flavours. Both have vegetarian alternatives. Allergens: from 13/12/14 it has become Law to provide information within our unlabelled loose foods as to what Allergens are in our goods. Please make us aware before you order any such foods of potential allergens you allergic too; Cereals, Peanuts, Nuts, Milk, Soya, Mustard, Lupin, Eggs, Fish, Crustaceans, Molluscs, Sesame seeds, Celery & Sulphur Dioxide.